Description: Book has just a tiny bit of wear to head and tail of spine as well as fore edge corners. Acidification at the hinges. Name on ffep. Small notation on rear paste down. Pages are clean and binding is tight. Dust jacket has some age toning and foxing, heaviest at spine and edges. Bumping with small chips to head and tail of dj spine. A couple small scratches to front of dj and one longer one to back. Dj has been placed in archival quality protective mylar cover. Not price clipped. 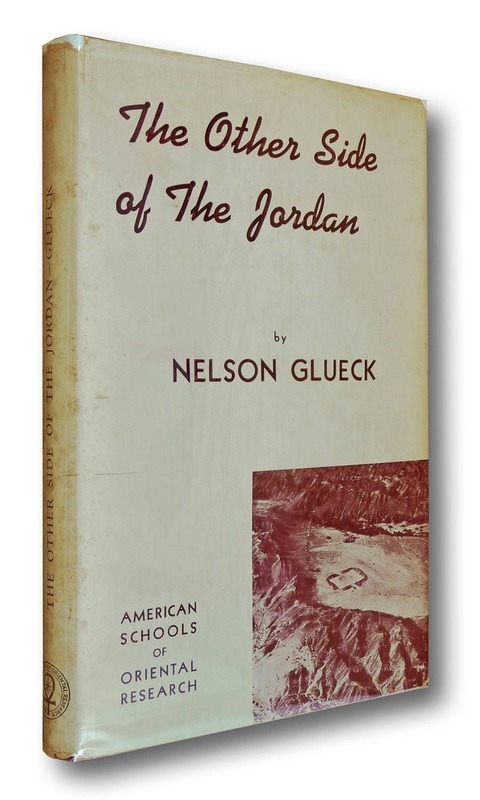 Book has laid-in flyer from the American Schools of Oriental Research featuring a picture of Dr. Glueck and describing his work at the school's director. First edition, 1940. Rare dust jacketed copy of book. Publisher Place: New Haven, CT, U.S.A.